Housing & Residential Education is committed to making each resident feel welcomed and included in our campus communities; including an environment welcoming to all gender identities and forms of gender expression. Students interested in Gender-Inclusive housing can apply to housing through a confidential process. Students who need special accommodation due to gender identity/expression should contact Housing & Residential Education either through the application process or by directly contacting our office. The request will be handled through a confidential process and staff will not ask for more information than is required to meet students’ housing needs. Placement priority will be given to students who notify HRE before April 1 each year and who require accommodations based on their gender identity/expression. Live in any shared living space and HRE will support roommate matching. Live with a preferred roommate. Live in a super single (you would have your own bedroom and bathroom). Live in one of our communities that have single rooms and a shared unisex bathroom (single stall bathroom is used by only one person at a time). Live in the Alliance House Living Learning Community which allows residents to select a space without consideration of gender identity/expression, or sexual orientation. We recognize that some students may have a preferred name/nickname different than their birth certificate name and we know that using one name or the other may pose different safety concerns in certain circumstances. Students will be asked to provide a preferred name/nickname, but please note the circumstances in which housing staff will use each name: for all external communications, such as mailings sent to your home, we will use your birth certificate name and for all internal communications, such as when you speak directly to Housing staff or when RA’s make name tags to put on your door, we will use your preferred name. Filling out your preferred name or nickname is also important if you intend to request a mailbox with us as we can only deliver mail to you if the name on the mail matches what we have in our system. 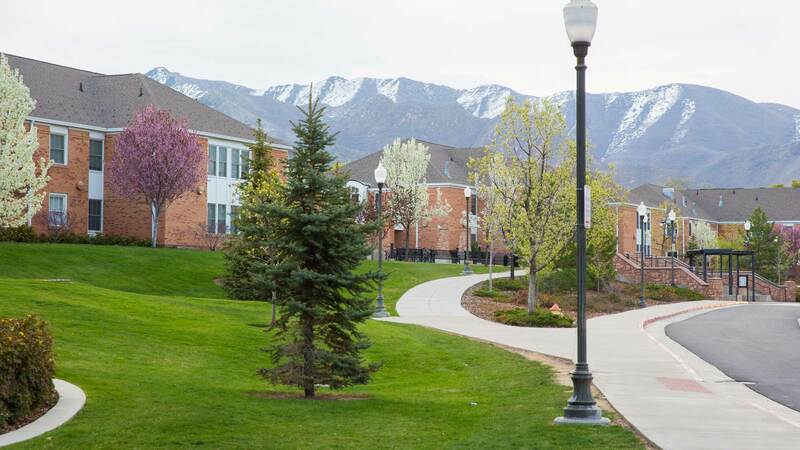 The University of Utah has identified email as a formal means of communication. HRE sends communications to the student’s Umail account and HRE also sends communications to the student’s personal email address as identified in the student’s Campus Information Systems page. If a student has a conflict with a roommate because of their gender identity and/or expression they can utilize their RA as a resource. If the student should needs further help, they can see their Area Coordinator (AC) or Assistant Area Coordinator (AAC) first. AACs are graduate students who supervise our Resident Advisor staff and ACs are full-time, professional staff members. All HRE staff have taken part in training specifically on gender identity/expression issues provided through the University of Utah’s LGBT Resource Center and Salt Lake City’s Pride Center. Other resources available include the staff at The Equity Center and the LGBT Resource Center.